Alexander Technique is a practical study of the principles of coordination, movement, habit, and awareness. 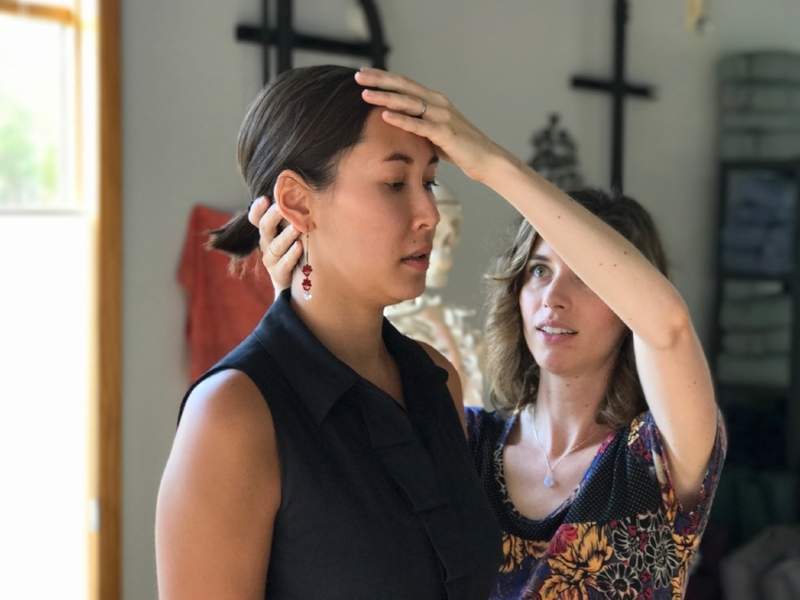 Through guidance and basic anatomical information, this technique helps you to access innate coordination, achieving ease, grace, comfort, strength, and flexibility in your profession or craft, such as singing and performing, as well as in the activities of everyday life. Alexander Technique also works with performance anxiety, injury rehabilitation, and chronic pain. Teachers of the Alexander Work help you notice how and when you are working harder then you need to, realize your habitual movement patterns, and learn to make changes on your own. Whether we are dancing, working at a computer, singing an aria, or walking to the store, we possess the inherent capacity to move naturally. Moving naturally promotes ease, flexibility, power, and expressiveness. Unwittingly, we often interfere with our anatomical design. Energy, poise, and ease give way to effort, tension, and fatigue. The Alexander Technique gives us a working knowledge of the principles governing human coordination. This technique teaches us how to be, at once, relaxed and ready, soft and strong, light and substantial, firm and flexible. Through study we become capable of redirecting excessive effort into useful energy. This Alexander Technique Class Series is for those that want to study this work more consistently - beginning level or intermediate - and want an easy, accessible way to do so. Join Molly for a Class Series in discovering your own inherent ease of being and how to apply this version of yourself to your daily life. Every new student receives a 30-minute private session when first purchasing a package of classes. Private sessions to be scheduled separately. For any further questions or to register, please click the button below and email Molly.